We really like the opportunity to keep you up-to-date with our current reviews and partner websites. 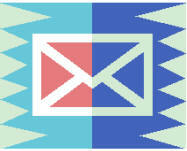 We invite you to join our mailing list so that we may keep in contact with you. Please input your name and e-mail address in the form below to enroll. Thank you.